I had pretty low expectations for this one and was pleasantly surprised. Meyer explores the darker side of her vampire world. Without getting overly morbid, she gives us a sense of what it would be like for one her Vamps who is completely controlled by the bloodlust, sees herself as more God than demon, sees us puny mortals as food, but still has a lot to learn about the clandestine world she's become a part of so very unexpectedly. Meyer does a great job of getting you to sympathize with some of the "bad guys," so that when the inevitable good-conquers-evil ending occurs, you wish she could go back and rewrite Eclipse just a little bit. It also opens up the possibility for yet another storyline in the future; one that I must say, I wouldn't be sorry to read. 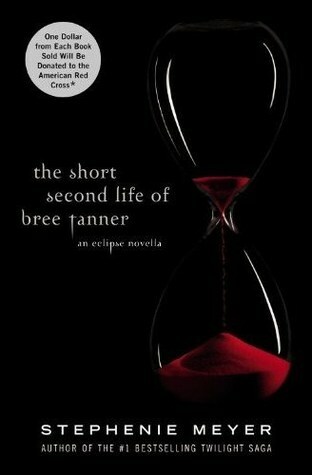 Three stars to Bree Tanner's story. I don't know I just can't get past the fact i'm sooooooooooooooooooooooooooooooooooooo sick of this series.. I can't wait to read this! It sounds better than I'd have thought too.